Time passes quickly and +Spectrum Event+ is at its third appointment! For this month the challenge is always interesting: a combination of fresh, cheerful colors that you notice immediately! In February we will have shops like HILTED, Adorably Strange Wares, [Revier], Deadly Nightshade, The Cat and the Fiddle, Muggleborn and more! 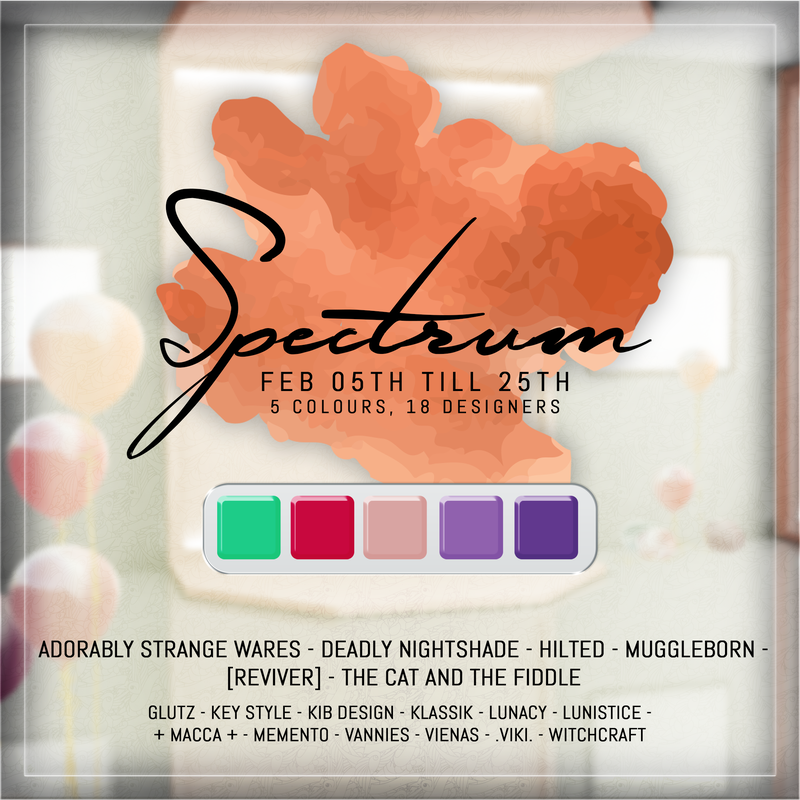 ​18 desigers and 5 colors! Don't miss this new appointment, starting from February 5th! Your One Stop For All Second Life® Freebies, Group Gifts, Promotion, Events, and Hunts.